Researching for the most actionable SEO techniques is one of the steps to starting a blog that you must never neglect. Along the way, you’ll expand your knowledge and learn more, like how to use email marketing to improve your SEO, for example. Starting a blog means making sure that you have everything you need for an effective blog setup. This includes content, design, platforms and hosting. You’ll find an endless amount of articles online about what good SEO techniques to observe. But what about those that you should stay away from? There is an ongoing debate among online marketers, bloggers, etc. regarding buying backlinks. Lately, however, there has been a rise in websites that offer loads of backlinks that you can use for your blog or website. For most of them though, there is no way to fully verify how much of the said backlinks are even related to your niche clientele. Sounds like a bad investment. Plus, getting caught buying backlinks can cause your website to be de-indexed from search engines. Ouch. It’s much better to use legit, non-blackhat ways to get trusted links instead. (What is black hat SEO?) Look for ways to earn organic backlinks. You can start with LinkMiner. Keyword stuffing is one of the signs of bad SEO and is a perfect example of how bad too much of anything can be. As much as keyword ranking is a vital part of SEO, this does not mean that you can just mindlessly load up your content with as many keywords as you like. When your website or blog is caught doing keyword stuffing, Google will penalize you. Months or even years spent on building yourself up on SERPs can go down the drain. To avoid this, focus your content on producing useful, relevant information. Insert keywords in a logical manner. Keywords are important. But it is much more important to ensure that your content makes sense. One of the things that budding bloggers should know is how common writer’s block is in our career. As a blogger, there are certain to be times when you feel like you’re running out of topics for your next content. Copying materials from other places online might then be a tantalizing idea. Not only is plagiarization unethical, it’s also punishable by Google’s policies as well as DMCA. Another thing you should do well to avoid is posting content irrelevant to your blog and niche. Do not write about fluffy bunnies when your blog is into real estate instead. From the moment you build a blog, aim to provide good user experience all the time. This will be beneficial to both you and your readers. To them, for the value, they can get from your content, and to you, for the improvement of your site’s metrics. Don’t you just hate it when you’re watching your favorite show on TV and it takes forever to come back because of too many commercials? Same thing goes for ads on your blog. Your reason for creating a blog could be for monetization and earn passive income. If so, it’s understandable that you’ll want to load up on ads to earn more. Unfortunately, that is a common misconception that is hurting you more than it helps. You only earn from your ads if your blog gets visitors. Google, on the other hand, sees too many ads as an obstruction between users and the information they want to get. In short, unoptimized ads mean down the SERP rankings you go. Ads are a great way to earn money if used properly. Be discreet in the placement of ads on your blog. Make sure they do not hinder your visitors in any way. Wikipedia describes cloaking as a spamdexing technique where the content presented to search engines and a user’s browser is purposefully made different. 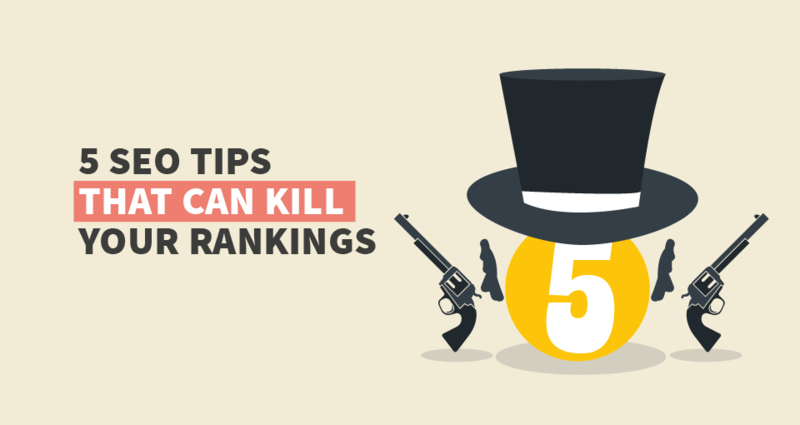 This infographic from CatchUpdates adequately explains this particular black hat SEO trick. Basically, it tricks you into visiting a site whose content is different based on what you’d expect from the search engine result description. Nasty. Obviously, this leads to very bad user experience and drags your reputation down. Honesty is still the best policy for both humans and search engines, it seems. Presenting the same version of your website for both search engines and users all the time is the best course of action. 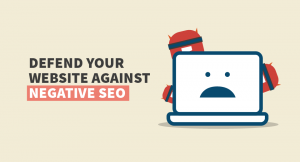 This can soon lead to better SEO results and a higher user-satisfaction rate. These 5 are some of the SEO techniques that you should avoid when blogging. They may appear to work at first. But eventually, they can end up destroying everything you’ve ever worked hard for. Instead, aim to get more organic visits to your sites by using acceptable, tested and proven SEO techniques. This includes using the best social media marketing software you can get your hands on. 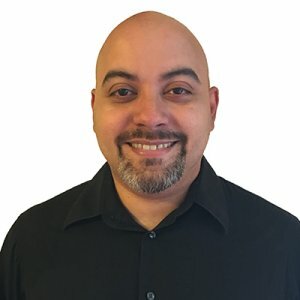 The same amount of time and effort goes into employing black hat and white hat SEO techniques. Make the good choice and go the legitimate way. It’s the only way you can be safe in the knowledge that all your hard work will bear good fruit in the end.